Today is the big day! 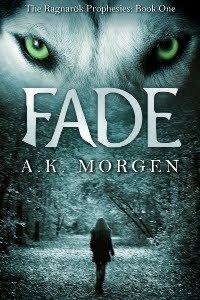 Fade has been officially released! I cannot even begin to tell you how excited I am over this, so I won't. Instead, I'll just tell you how awesome taking this crazy journey with all of you has been, and how much I adore all of you. I have some of the greatest readers and friends in the world, and I really do mean that. You may remember me talking about a super huge announcement I would make today, and a top secret project in the works. I'll give you the super huge announcement now, and will post the top secret project news at 5pm CST today. Writers and readers, make sure you check back because you will not want to miss that reveal! On to the first announcement of the day! I firmly believe in getting involved and giving back. 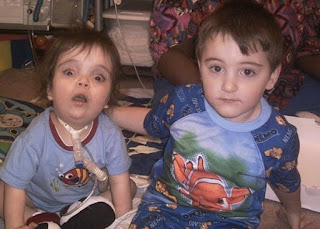 In that vein, I am very pleased to inform all of you that I will be donating 5% of royalties for the first six months of sales (from now until March 2013) to both the March of Dimes and the Ronald McDonald House Charities. And I could not be more thrilled to tell you that Curiosity Quills has generously offered to match my donation percent for percent. That's right, loves, they will be donating an additional 5% to both the March of Dimes and to Ronald McDonald House Charities, two organizations that have been working miracles in the life of my family for years. The March of Dimes is a 501(c)3 non-profit first established by Franklin D. Roosevelt to fight polio. In the years since, the March of Dimes has grown to a global organization, and their mission has shifted to focus on prematurity and birth defects - two issues that have greatly impacted three of the most amazing children in my life, my niece and two of my nephews. My niece, born at 25 weeks, weighing1 lb 14oz. 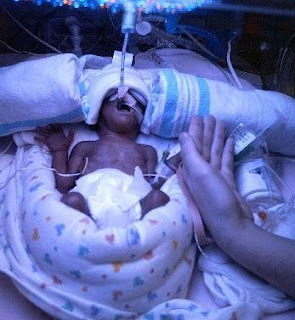 My nephews, born at 27 and 29 weeks gestation at 3 lbs. The March of Dimes has been a global leader in research into the causes of birth defects and preterm birth, in educating new moms and medical professionals about best practices for healthy pregnancy, of promoting newborn screenings to help save lives, and of establishing regional Neonatal Intensive Care programs to care for preterm and sick infants. Thanks to their work, the survival rate of preterm infants has increased dramatically over the years, we know more than ever about birth defects, and my niece and nephew (all born three plus months early) have not only survived, but are thriving. 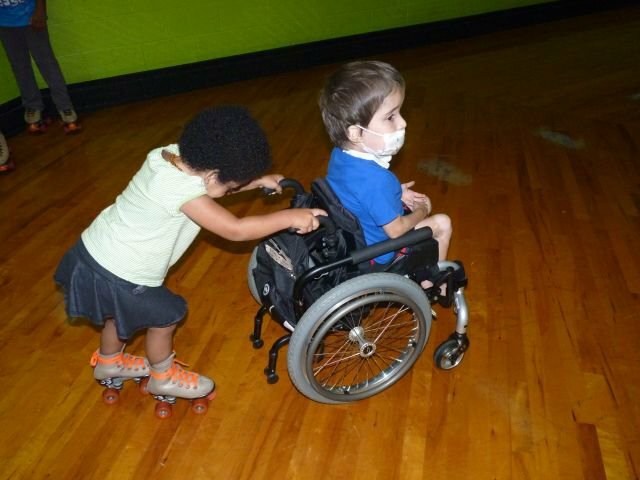 Aloshua, who was born at 27 weeks gestation with Spina Bifida and a number of other serious medical conditions, overcomes new obstacles every day, thanks in part to the dedication of the March of Dimes and organizations like them. The baby we weren't sure would make it through the first year is seven now, and just reached his first one year hospital-free milestone! Because of the research of the March of Dimes, our little superhero has been able to have a normal childhood surrounded by the people who love him. Niece and nephew at ages 3 (niece) and 6 (nephew). Like the March of Dimes, Ronald McDonald House Charities is a global organization dedicated to helping children and families facing medical crisis. Over three hundred Ronald McDonald Houses exist world-wide, allowing families to stay near their children during times of illness and hospitalization for little or no cost. 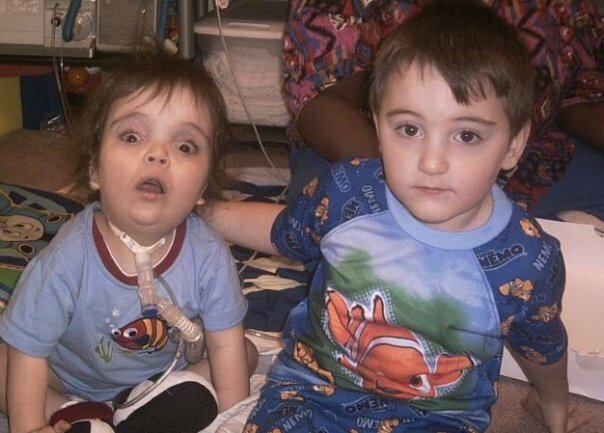 Everyone from cancer patients to transplant patients to the families of burn victims and children and infants in intensive care units have found a home away from home with the Ronald McDonald House Charities. These homes allow families to remain together to support their children in a safe, loving environment that offers all the amenities of home with none of the cost, but that's not all RMHC does. Their Care Mobiles provide free dental care year-round to underserved children, and their Family Rooms inside hospitals allow parents and siblings to catch a few moments of quiet, cook a meal, or take a quick nap or shower without ever stepping foot outside the hospital. In addition, RMHC provides grants to organizations fighting to improve the health and well-being of children around the world. As you can see, both RMHC and the MoD are doing amazing things for children and families around the world. My family has been touched by both organizations in big ways, and I could not be more grateful for the opportunity to pay it forward now. I hope you'll join us in our quest by picking up a copy of Fade, and by making your own donation to two organizations fighting to save and better the lives of the most vulnerable children. What better way to celebrate release day than with an announcement like this?! Yay! Thrilled for you. And for the rest of the story, just WOW. Congrats on the release and kudos for giving back. I've been a long time supporter of RMHC. They do amazing work. Congrats on the release and the donating to this worthy cause.